This season it's all about mixing it up with the camo style - a staple print that consists of rich hues, metallic moments and dramatic details. 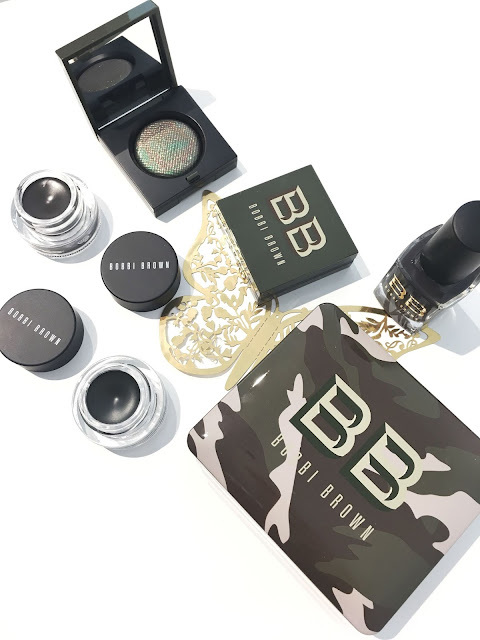 I take a closer look into Bobbi Brown's latest Camo Luxe Collection which is inspired by earthy tones, velvety mattes and sparkle-infused eyeshadows. This gorgeous collection adds a touch of warmth to your overall collection making it perfect for a Spring or Summer look. And...let's talk about how unique the Camo Luxe Collection packaging looks (It definitely reminds me of those camo inspired dress-up days which looks amazing). This eye and glow palette features a mix of six matte and sparkle eye shadows and their hero Highlighting Powder. You can easily create a multidimensional eye look with these shades and instantly illuminate the skin with just using this one versatile palette. 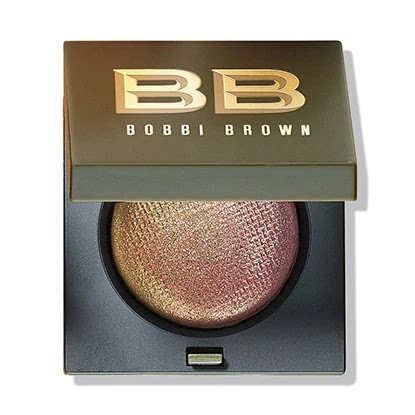 In terms of its formula, both the eye shadows and highlighting powder are densely pigmented and can be easily layered on for that greater intensity look. 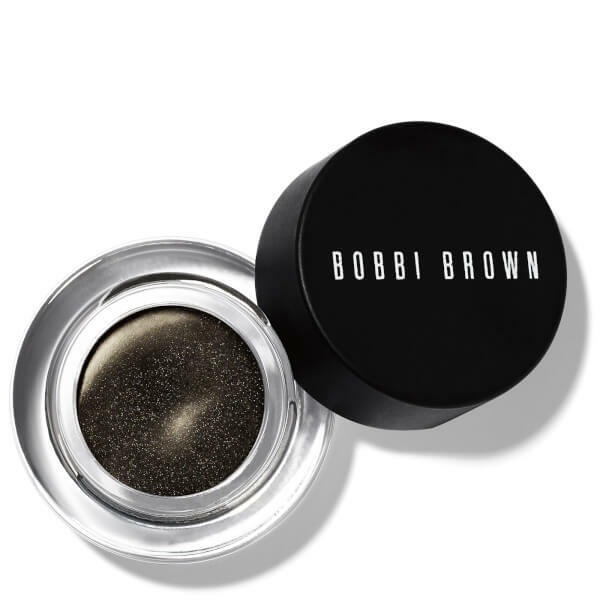 Their powder shadows are super silky and are made to be easily blendable and buildable. 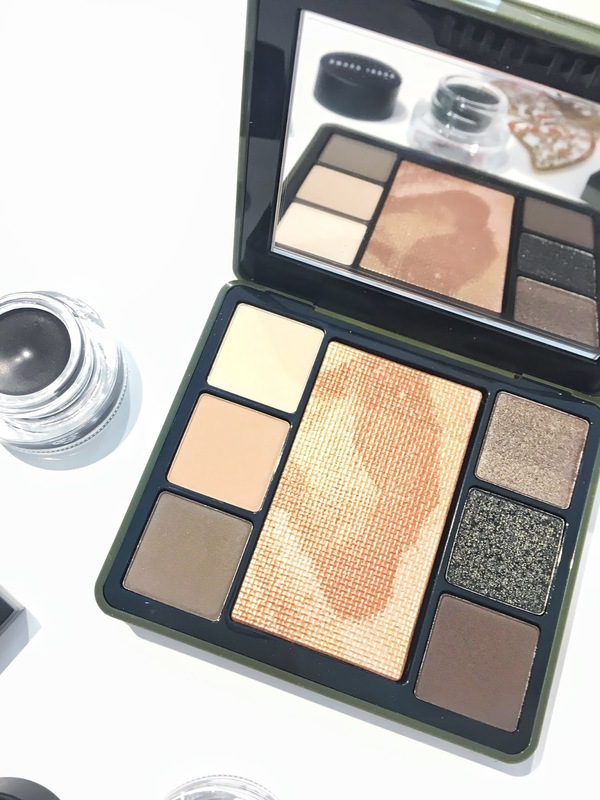 There are no fall outs with using this versatile palette which is amazing. I really enjoyed trying out the Highlighting Powder because it helps to create a natural and flattering glow, making it perfect for a day or night look. As for the eyeshadows, it's ideal for creating that smokey eye warm effect with a touch of glam to it. 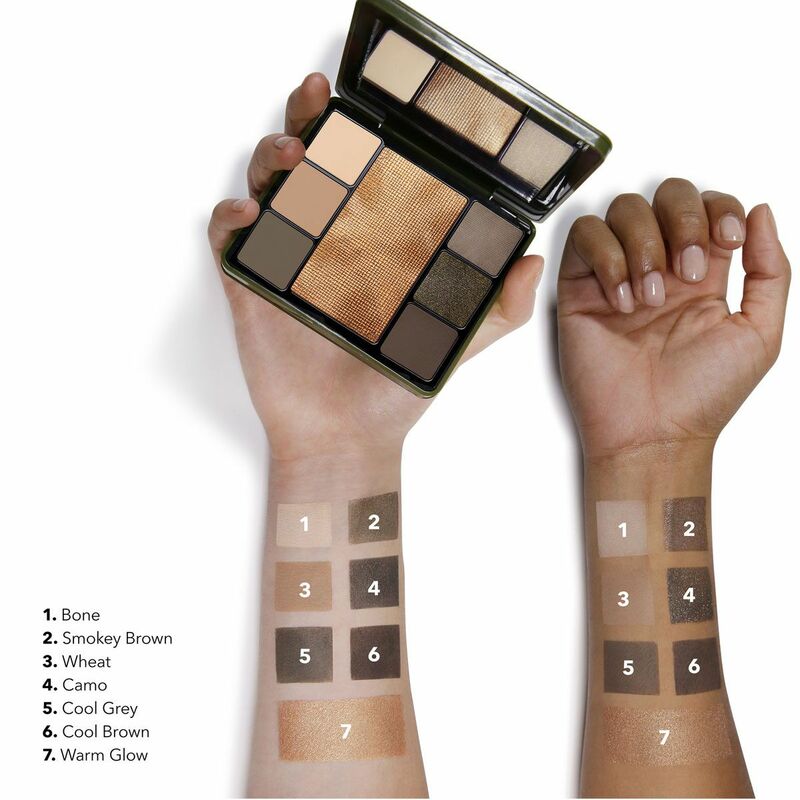 Above features the swatches from the NEW Camo Luxe Eye and Cheek Palette by Bobbi Brown. Notice how silky smooth and pigmented the shades are? How gorgeous is the packaging from the Camo Luxe Collection by Bobbi Brown? 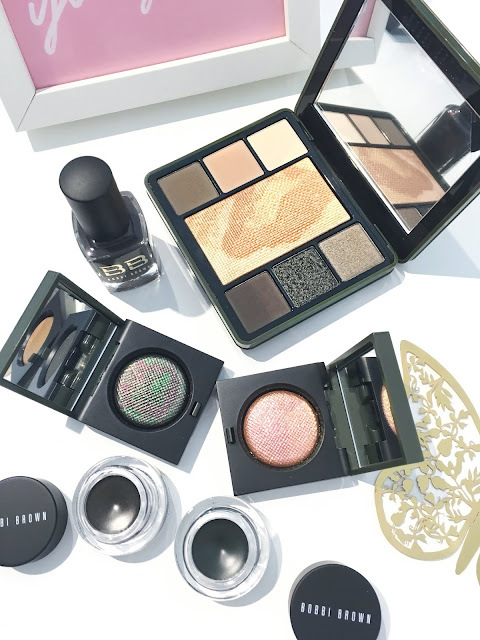 These are currently now available at selected Myer, David Jones and Debenham stores, Bobbi Brown Studio Mosman or online via Bobbi Brown's official website and Adore Beauty. For the ultimate 3D effect and where you can look to create some depth with your eye look, you'll definitely love the latest Luxe Eye Shadows in Multichrome in either shades Jungle or Incandescent Shadow. These provide an 8 hour wear, are crease proof, fade proof and colour true. 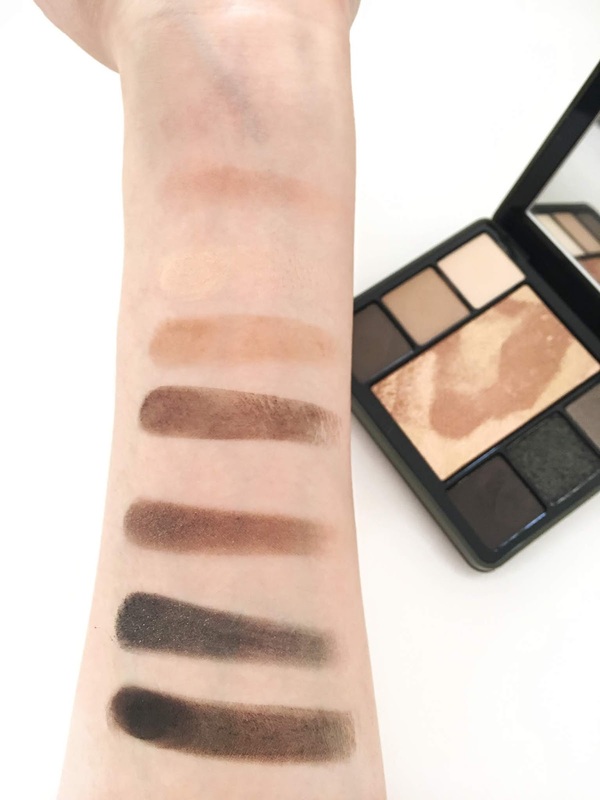 What's great about these eye shadows is that you can use these as a wet or dry application, depending on what look you're after. 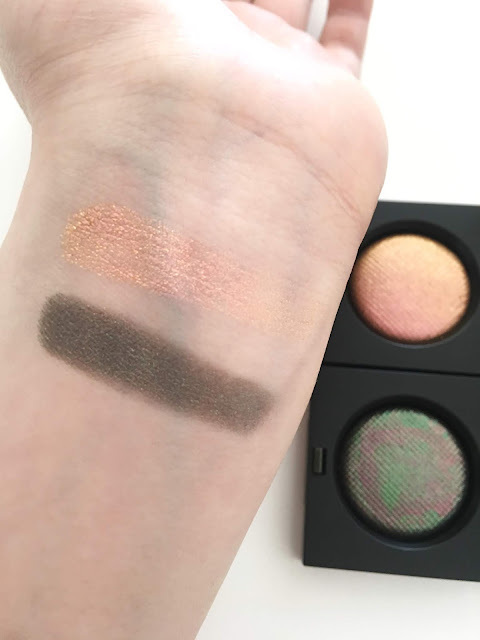 NEW Luxe Eyeshadow Multichrome in Incandescent and Jungle. These award-winning long wearing eyeliners offers a precision of a liquid eyeliner in the form of a gel based formula. 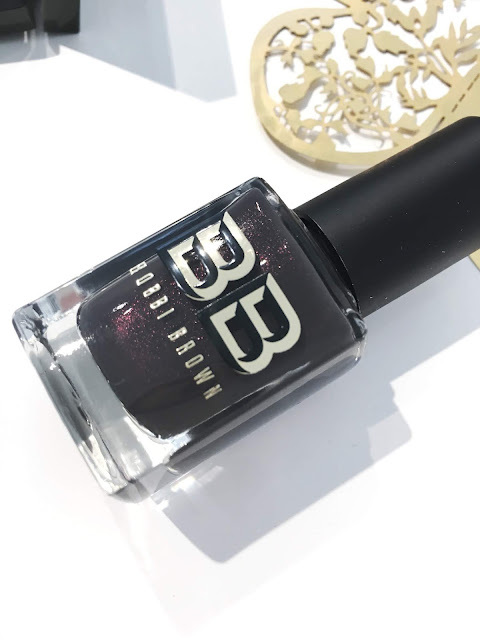 In terms of its wear, it lasts for up to 12 hours and is waterproof, sweat and humidity proof (making them so ideal for summer coming too). The gel eye liners offers a smooth and silky texture making them so easy to apply near the eyes. I love the fact that it glides on so easily and you don't even have to go over it the second time. These are perfect for all day wear as they're long wearing making them suitable for work too. Cypress Ink is a deep emerald green. 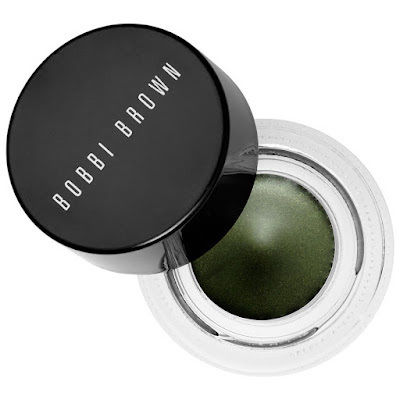 Forest Shimmer Ink is a deep green shimmer. Also in the collection features the Nail Polish in Camo which is this gorgeous shimmery purple shade, perfect for Spring and Summer. This shade definitely completes a camo-inspired look!